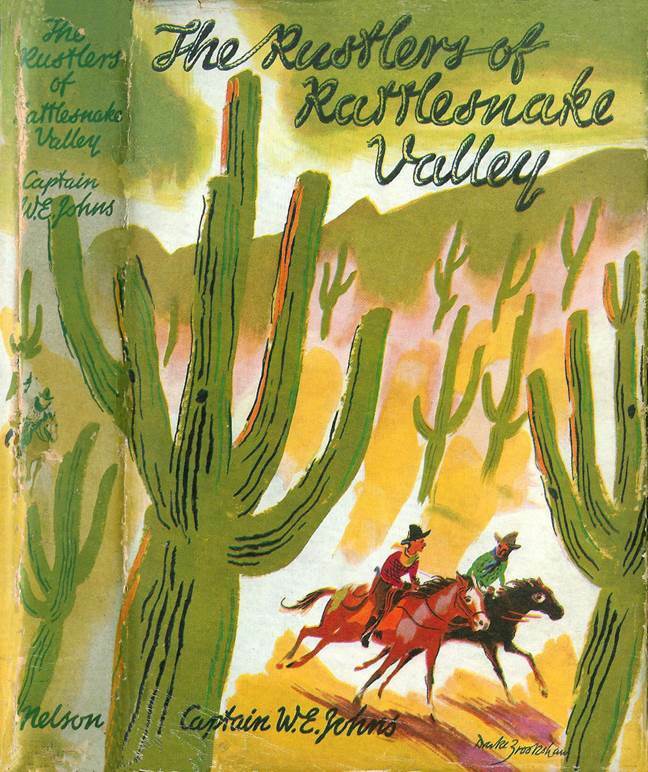 Mr. Black of New York City owns the O-bar-O ranch at Silversprings, Arizona, USA and agrees to the son of his friend, Mr. Somerville, coming out from England, to work at the ranch to improve his health. Young "Pash" Moore is sent to the station to meet him and first makes the acquaintance of Tony Somerville. Pash tells Tony that Indians killed his parents and a cowboy named "Daddy" Moore had brought him up. On the way back to the ranch with Tony, Pash is alarmed to see "Two-gun" Grundle, a notorious villain with the reputation of being a rustler. Pash lends Tony some riding kit and shows him over the ranch and tells him that he, Pash, is in love with Sally who lives on the ranch. Tony is also shown "Rattlesnake Valley" where the "rattlers are as thick here as fleas on a mangy coyote". Here a spent cartridge is found and then a wounded man, Bud, one of the cowboys from their ranch. A Mexican, Luis Durango, Grundle's partner, who is stealing cattle, then shoots at the two boys. The next day, the boys track the missing cattle and begin to suspect a neighbouring ranch, known as the D-bar-IO outfit. They have a watering hole, known as Blue Spring, where the cattle could be taken on route to the Mexican border. On there way there, at a place called Dusty Hollow, they find some 30 or 40 head of cattle that have been stolen by five horsemen and, after a shoot out, the try to stampede the cattle back to their own ranch. The following day there is a confrontation between "Wall-Eye" Gates, the range boss of the D-bar-IO ranch, and Grant Wales, the boss of the O-bar-O ranch where Tony is staying. The following day, Pash and Tony investigate the rustling further. They are confronted and captured by Durango. Taken to Gates, Pash and Tony escape on their horses, fearing for their lives, as they know too much. Chased to the nearby small town of Apache Creek, Pash and Tony find Tex and Tim, two cowboys from their ranch. There is a shoot out in the saloon and another shoot out as the four cowboys are ambushed on the way home. When Pash and Tony take their boss to where the cattle were, they find that all trace of them has gone. Pash and Tony then set out alone to find them. They cross a desert to the mountains and are caught in a storm. When the storm passes, a Mexican working for the rustlers catches them. Taken to a secret hidden canyon, our two heroes are held prisoner in a wooden hut. Here they are found by Sally from their ranch who has come out looking for them. She gives them a gun and then goes for help. With the gun, the two boys shoot their way out and escape into the secret canyon. Here they are alarmed to find Sally's horse dead! 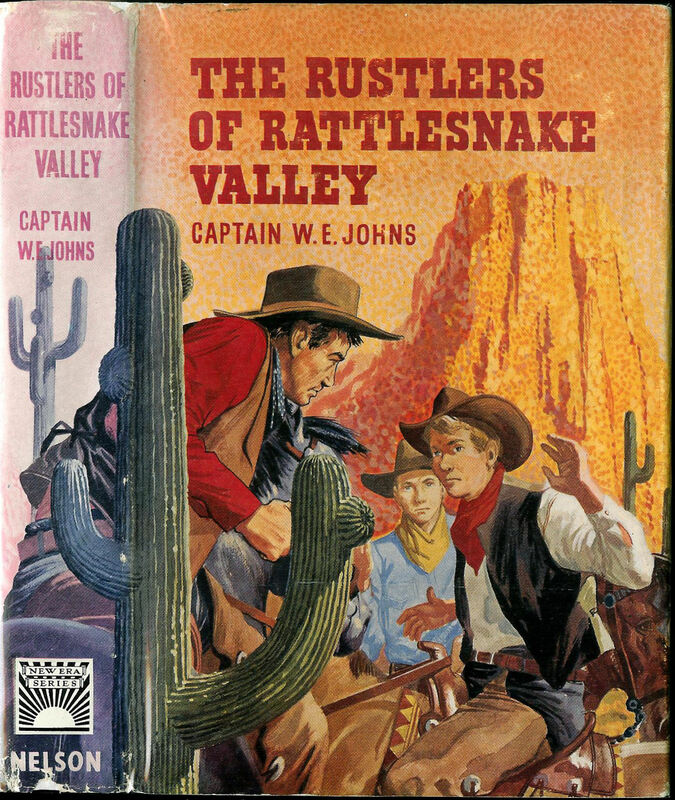 Sally has been captured by the rustlers but Tony and Pash rescue her. Her horse has been bitten by a rattlesnake. Hidden in the dry foliage and rocks of the canyon, Tony, Pash and Sally are almost impossible to find. 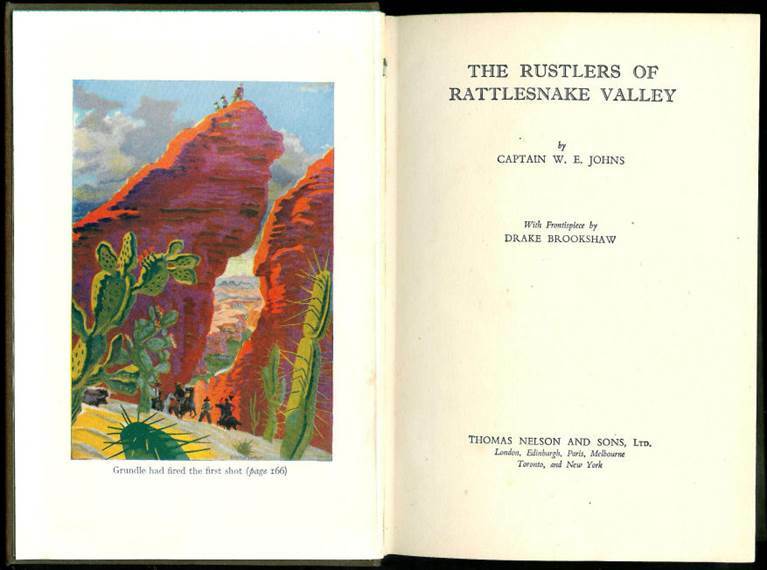 However, the rustlers set the brush alight and the three of them are forced to scale the dangerous cliffs in the dark. Eventually making it to the top, they see Gates has run all 3000 cattle from both ranches to the secret canyon. Grundle shoots Gates and some other members of the D-bar-IO ranch and then dynamites the entrance to the canyon so he can't be followed. Tony, Pash and Sally come down and are able to speak to Gates before he dies. The information he gives them helps them to go after Grundle and the cattle. Sally is sent back to the main ranch to get help. Our heroes have to travel through Skeleton Gulch, where the water is poisoned and a volcanic Valley of Death in order to cut Grundle off. They build a barricade at a bottle-neck and shoot it out with the rustlers. 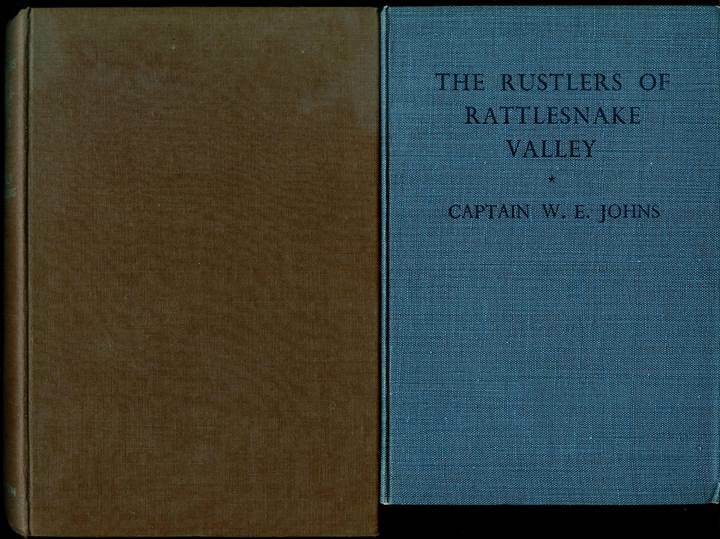 The rustlers dynamite the barrier and run the cattle through the gap. Tony and Pash are forced to jump on the back of two of the steer's to avoid being crushed to death in the stampede. Tex and Tim and the other cowboys from their home ranch arrive and the baddies soon get their comeuppance. Tex takes on Grundle in a quick draw gunfight and kills him. Our heroes return back to the ranch in triumph. Publication Details - originally published by Thomas Nelson and Sons Ltd. The First Edition is on the left – Note the “New Era Series” logo on the spine of the SECOND edition – and yes, the books were different sizes. 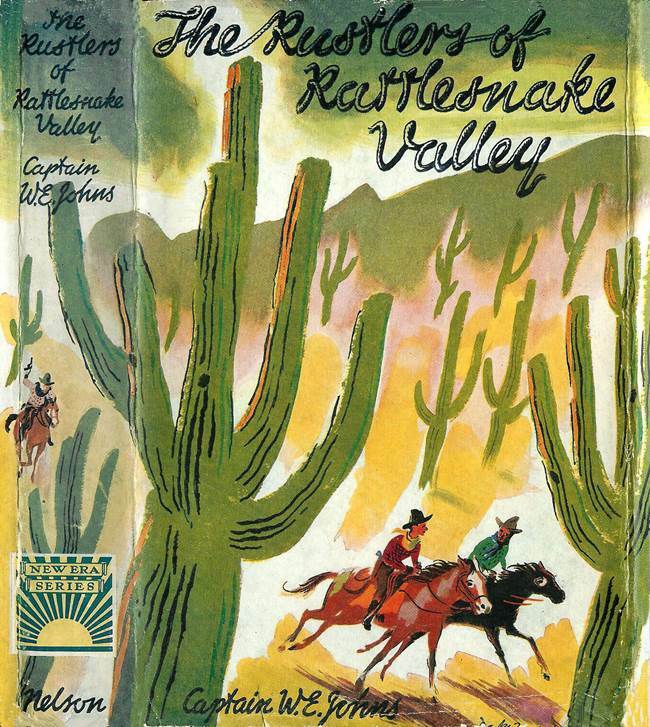 Note how the artist’s signature is lost on the later edition dust jacket. The first edition is priced at 7 shillings and 6d, whereas the reprint was only 5 shillings.